Reports are coming in from China that Zynga has shuttered its Beijing offices earlier on Wednesday. According to a former Zynga employee, the company's employees didn't find out about the closure until corporate announced it in the Beijing offices at 10:30 am China time on Thursday. This shut down comes a week before the biggest Chinese holiday, the Spring Festival. According to the Wall Street Journal, Zynga has laid off 71 employees, from programmers to management. Sources tell the Fat Asian Techie (your's truly) that employees are pissed and confused by the sudden and unwarranted closure. The studio was supposedly performing well for the Farmville maker. The same sources also revealed that the company's Beijing premises are effectively shut down and employees will not be returning to work on Friday despite the company's statement that the closure will be finalized in July of this year. 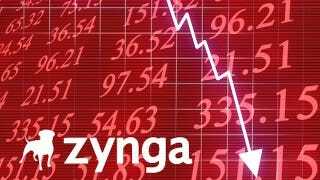 Zynga, once dominant with it's social networking based free-to-play games, has been creating more misses than hits lately. The company has been unable to transition it's Facebook dominance over to the mobile sphere. It's offerings in China have also been severely limited due to piracy and copycats, as well as an already saturated market. The FAT will continue to follow this story as it develops.